Editor’s Note – The TOSH Top 30 is our countdown of the top 30 stories from the 2015-16 school sports year, beginning with No. 30 and counting down, one story a day, to No. 1. The 2015-2016 high school sports year was filled with big performances, both team and individual. The act of narrowing down our initial list of top stories for our TOSH Top 30 stories of the year to just 30 was a difficult task. We asked people all over the state for input into our final list and beginning June 22, we are counting them down in reverse, from story No. 30 to story No. 1. Hopefully your favorite story of the past school year made our list. We’ve reached No. 26, and today we celebrate baseball in Utah County, where the 4A and 5A state tournaments were a showcase for Region 4 and Region 7. Baseball is one of those sports that does not always go as expected. Teams that get hot at the right time win championships and players deliver big-time moments when you least expect it. One thing that was clear for much of the 2016 Utah high school season on the diamond was that the balance of power still resides in Utah County. A year ago, while Region 4 champion Pleasant Grove was claiming the 5A title, 4A came down to a battle of teams from the southern part of the county, as Spanish Fork took care of Maple Mountain for the title. Pleasant Grove finished fourth in Region 4 in 2016 and was knocked out of the state tournament relatively early, but the three teams that finished ahead of the Vikings proved to be the strength of Class 5A baseball. The league had three teams among the final four standing in the tournament, with Lehi finishing fourth while Lone Peak and American Fork battled for the 5A state title. 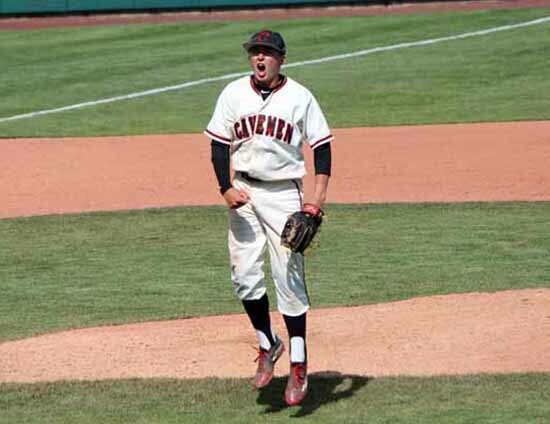 While American Fork dominated the season-long series against the Knights, it was the Cavemen who had to come back from the brink of elimination to win the state championship over their rivals. 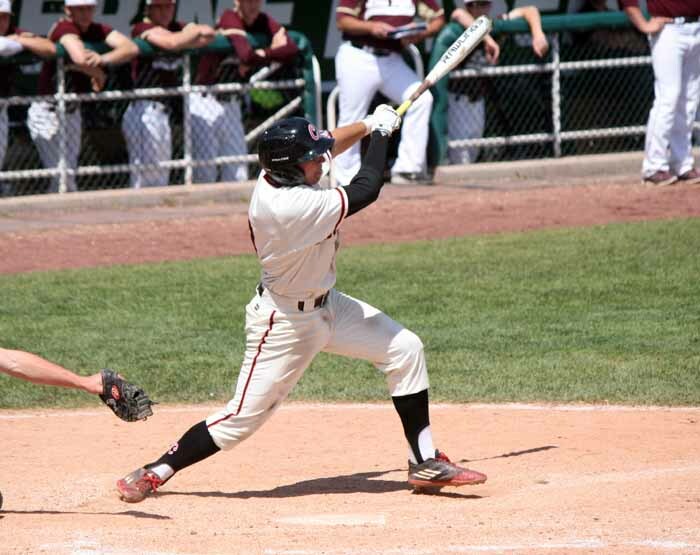 American Fork (13-5 in Region 4, 24-8 overall) swept a three-game series from Lone Peak (14-4, 21-9) during the regular year, winning by scores of 5-2, 7-5 and 16-11. Despite the head-to-head success against the Knights, the Cavemen finished second in the final league standings, one game behind Lone Peak. Then, when the teams were the last two standing in the playoffs, the Knights finally got their revenge as Payton Freeman survived a bases-loaded situation in the seventh inning and allowed Lone Peak to remain in the winners’ bracket with a 4-3 victory. After knocking off Cottonwood in the subsequent elimination game, American Fork came back on championship Friday needing to knock off the Knights twice to win the title. The Cavemen used big innings, a three-run third and a four-run sixth, in the first contest to pull away to an 8-4 win and then used a similar approach, starting with a five-run first, to win the nightcap 13-9 and claim the 5A title. American Fork star Mick Madsen gutted out five innings on the bump in the final game after closing out Friday’s first game, and he was certainly a star for the Cavemen, but this was a team win with guys like Jace Ybarra and Trell Morse delivering time and time again. That was enough to hold off the attempted heroics of Lone Peak’s Seth Corry, who went yard twice in that finale, but it was not nearly enough to overcome four Knight errors and all of those clutch hits. In the end, Lone Peak won the Region 4 title, but the Cavemen got the bigger trophy after winning 5-of-6 from the Knights this year. The 4A state title came down to a battle between a pair of Utah County neighborhood rivals just as the 5A tourney did. The difference in the 4A battle was that the team who dominated the regular season series did not win the state championship. Led by the dominating pitching and hitting of Paxton Schultz, and a dynamic offense that scored all kinds of runs in all kinds of ways, Orem ran the table in Region 7 play, going 18-0 in league play. When the state tournament came down to a three-way battle between teams from that region, it seemed a Tiger title was inevitable. That’s why they play baseball games. After Orem (18-0 Region 7, 26-5 overall) beat a Region 7 team from just outside Utah County, Corner Canyon, in the final winner’s bracket game, it was the team sitting there waiting for the elimination bracket survivor. In that part of the tournament, another of Orem’s region rivals, Timpanogos was red-hot. Because they were swept by Orem during the regular year in a trio of close games (2-1, 3-2 and 7-5), the Timberwolves (15-3, 28-4) may have been flying a bit under the radar in the tournament, while third-place Corner Canyon was the surprise club. Two southern Utah County teams – Maple Mountain and Salem Hills – were also among the top six teams in Class 4A, and it was the Skyhawks (27-4) and Woods Cross (23-7) who were getting most of the ink alongside Orem as the 4A powerhouses. To get back to the title game to face the Tigers, Timpanogos had to be knock off both Salem Hills and Woods Cross in elimination games, and then it got revenge on Corner Canyon in the final elimination bracket contest to earn the right to face rival Orem for all the marbles thanks to a walk-off winner from DJ Martinez. The Timberwolves tallied three runs against Schultz in the top of the first inning of the first title game, and then opened up a 5-2 advantage with two more in the fifth, but they lost the lead after the Tigers scored three in the fifth to tie and added one more in the sixth to put Timpanogos within its final three outs of the season. 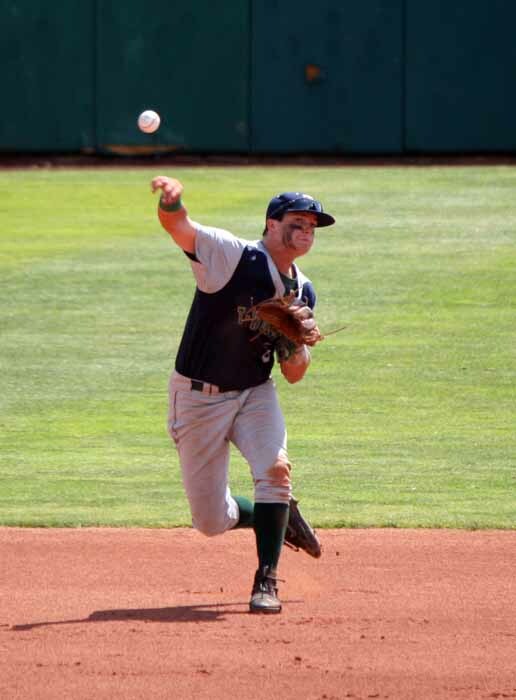 This was a team that refused to quit, however, and with big hits from Brayden Millet and Derik Eaquinto, the T-Wolves plated four in the seventh to force a rematch for the state championship. That game was all Timpanogos, with Eaquinto delivering a strong pitching performance in support of Tyler Cornish, while Tanner Evans, Casey Hamilton and Conner Halford provided big offense in an 11-0 five-inning, mercy rule state title victory.